Although it can be a huge bother, packing everything yourself will save you a lot of money. Besides, you want to know where everything goes and that can only happen if you label the boxes appropriately. There are some things that you may want to carry in your own car like valuable keepsakes or a computer. 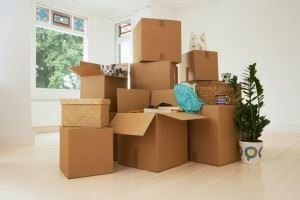 Packing everything doesn’t have to be stressful especially if you start a few weeks early and do a little bit each day. If you hire movers, then you should be given a moving contract before the job starts. That job will be either an hourly rate or a flat rate. This is where you need to check out the reputation of the moving company. Some movers who charge an hourly rate always seem to overcharge because they either gets stuck in traffic or send over a small truck that requires two trips. You want to put a lot of trust into the movers you hire but they don’t owe you anything and they’re going to try and get as much out of you as possible. A flat rate might be a better option. Also, make sure about extra fees and add-ons like furniture blankets and moving tape. The more supplies you can get the better off you’ll be. Another way to cut down on expenses is to move fewer things. As you pack up, you should separate the stuff that you want to keep from the stuff that is useless. Even old furniture that you know you’re going to replace shouldn’t come with you on the move. All of that unwanted clutter can be turned over the Junk King Seattle. These are the junk removal experts that will give you a great deal on junk hauling. They also charge a flat rate but that’s based strictly on how much space your stuff will take up the back of the truck. For your next move, get rid of your rubbish the smart way by hiring Junk King Seattle. This entry was posted in Seattle Junk Removal and tagged Junk King Seattle, junk removal, moving, save money on June 30, 2017 by Junk King. Last updated July 2, 2017 . Do You Need Old Bike Removal And Junk Hauling?